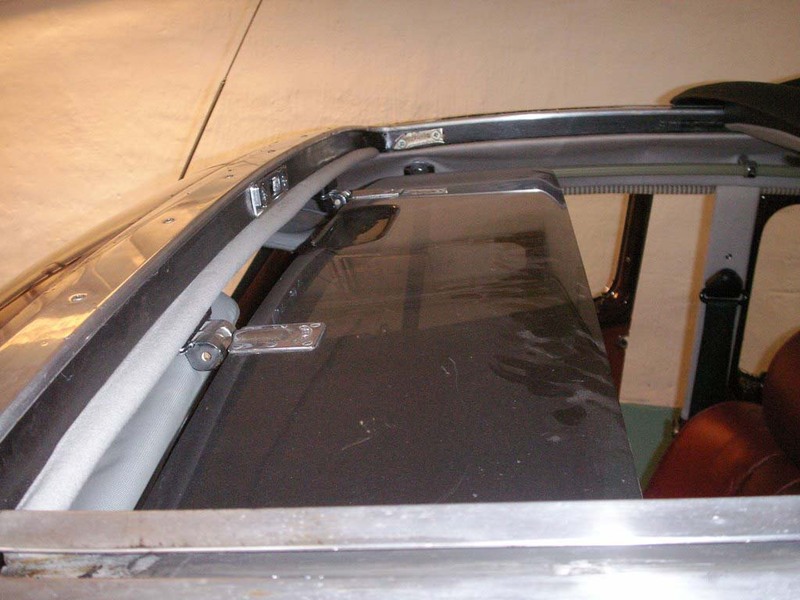 These wind deflectors were an accessory sometimes used in combination with Webasto sliding roofs. The dimensions of the wind deflector are: length = 92 cm, width = 21.5 cm. 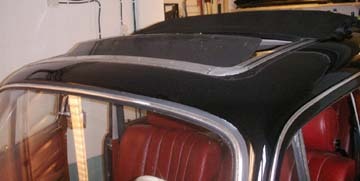 The two forward corners are rounded with a radius of about 4 cm. 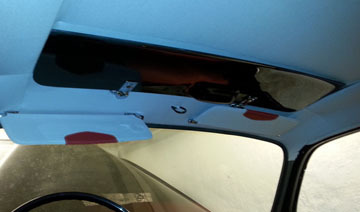 In the middle there is a rather deep cavity for the opening handle. The whole deflector is slightly bent to follow the shape of the roof. 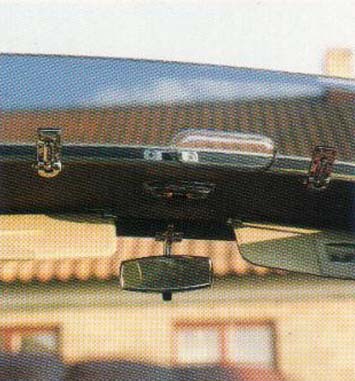 These deflectors are sometimes to be found on the German eBay (www.ebay.de). 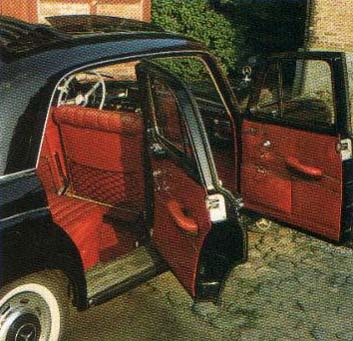 In addition to the wind deflector on this Type 220S, note the mud flap with the Mercedes-Benz Star visible just below the front door. 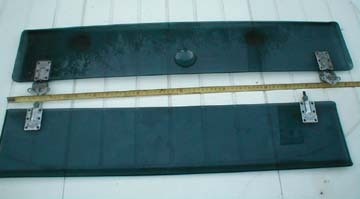 These mud flaps have been popular OEM accessories for many years in various countries around the world. 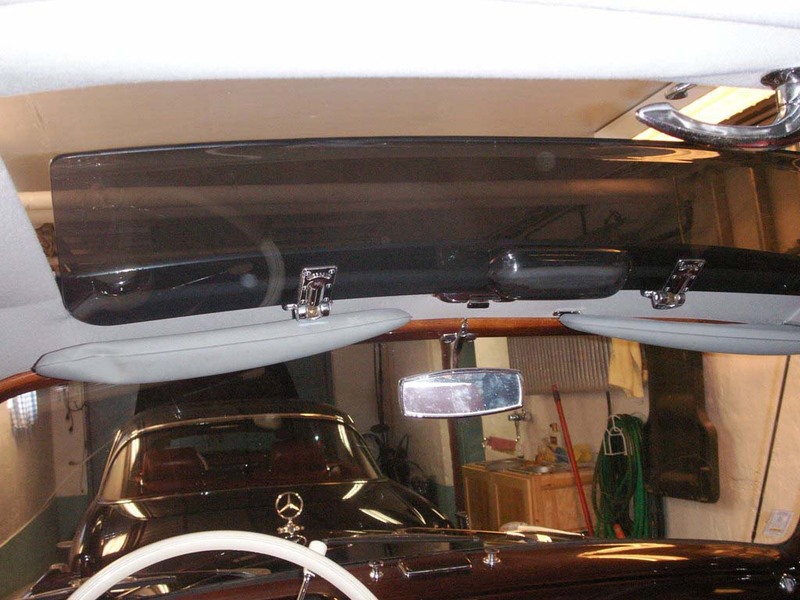 This Mercedes-Benz 220S has an abundance of optional accessories. 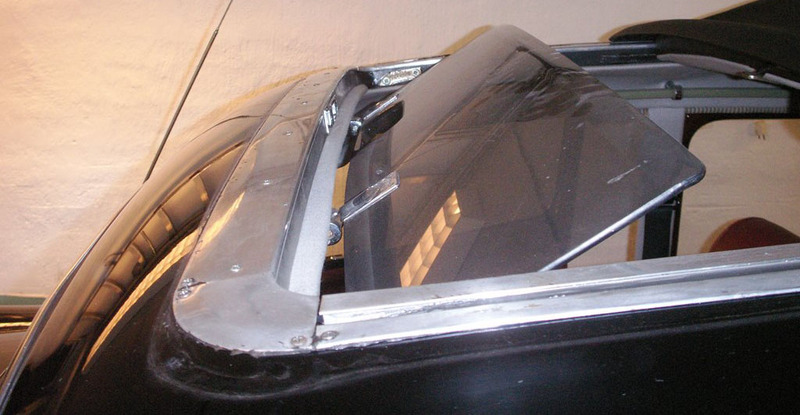 Note the Webasto roof, wind deflector, fog lamps, white wall tires, ivory steering wheel, and mud flaps (both front and rear). 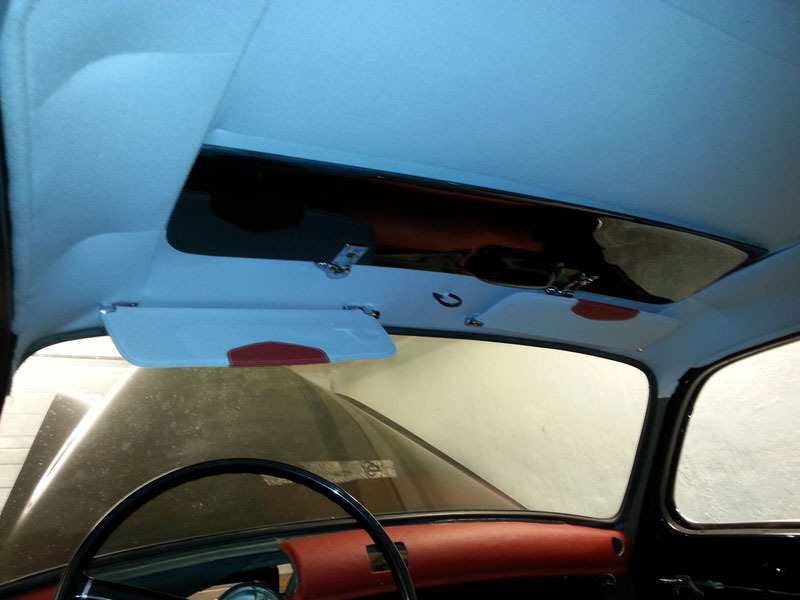 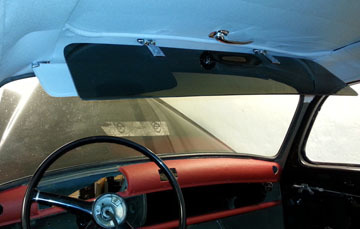 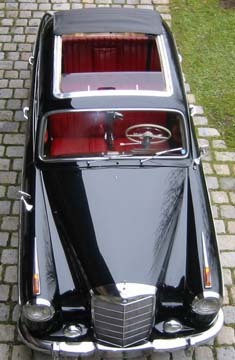 A Webasto wind deflector in the lowered position in a 1959 Type W120 180a Ponton sedan. In the lowered position, this accessory would function as a sun glare visor. 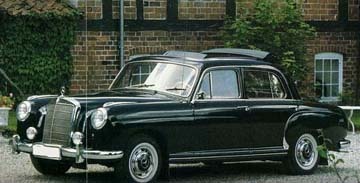 The following photographs were provided courtesy of Ingemar Berndtsson. 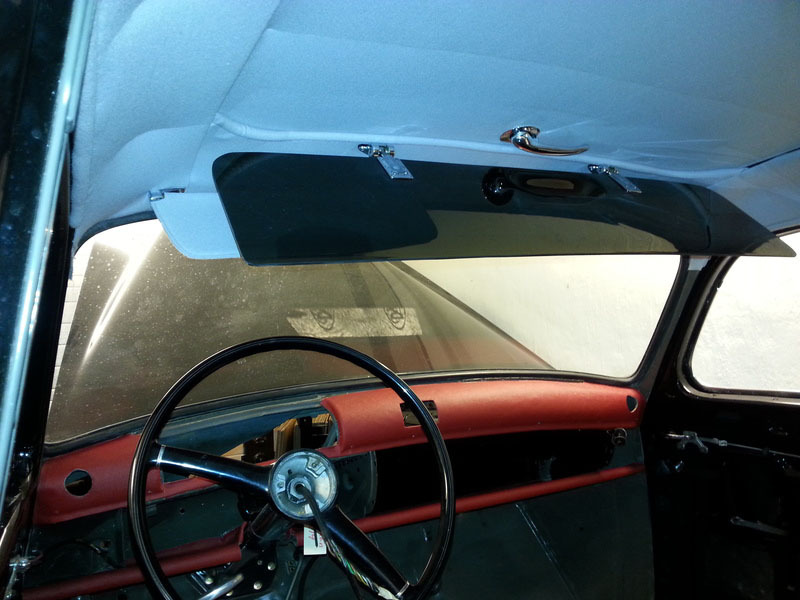 He has a 1957 Mercedes-Benz Type W180 220S Ponton sedan writes, "Enclosed you will find some photos of the wind deflector in the "closed" and "open" positions. 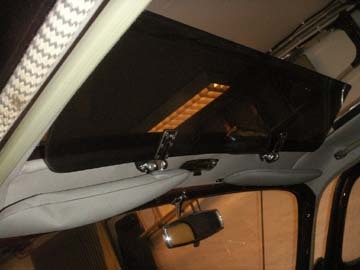 To operate it, you pull the deflector a little backwards, then it is released and can be lowered to provide access to the sunroof handle. 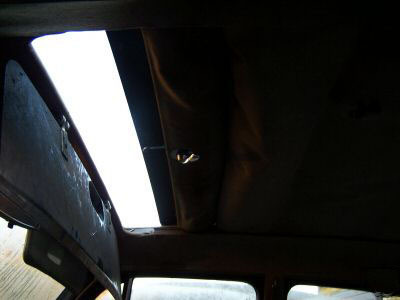 Then you open the Webasto roof and again and pull the deflector backwards a little to release, and then it moves into the open position. The wind deflector really complicates opening the roof, but it looks nice.